A casual glance at the Olympic bid-related headlines and you’ll see stories of referendum plans in Boston and Hamburg, a triumphant return of Paris to the competition and an unlikely potential challenge from a city in India. These conversations echo in the halls of Sochi’s ExpoCentre where the SportAccord Convention is taking place this week. It seems with the International Olympic Committee’s (IOC) new “Invitation Stage” of the bid process that is designed to engage potential bids in a constructive dialog before they are required to commit, the race has begun even before the race is set to begin – on September 15 when applications to host the 2024 Olympic Games are due. That’s right, the 2024 Olympic Games. But did you hear that? Neither did I. Because nobody is talking about it. Today, Wednesday, April 22, was supposed to be a pivotal milestone in the 2022 Olympic Winter Games race. A chance for the bid cities to shine, or to crash-and-burn, in front of the largest audience of critics and stakeholders possible throughout the campaign. 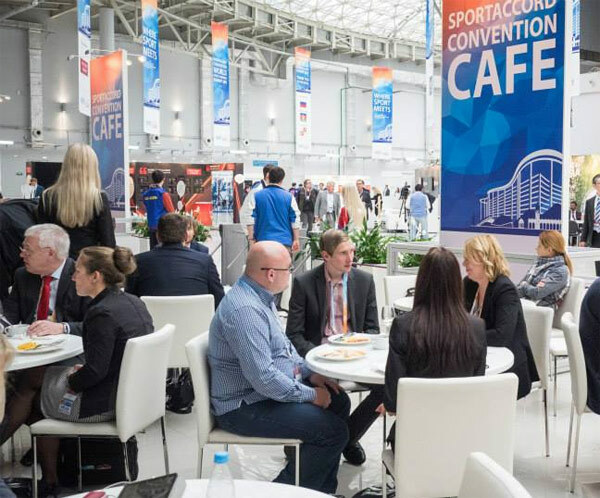 In the recent past, bid city presentations were typically among the most anticipated events at SportAccord, the biggest international sport convention there is. Delegates came early to get seats in what usually became a standing room only crowd. And by either coincidence, or from a scheduler’s ingenious masterplan, it would have occurred exactly 100 days before the final election, and that’s not a trivial alignment in a world where anticipation for the next big event is monitored by elaborate countdown clocks both online and in-brick. So significant were these presentations to be that SportAccord Chief Marius Vizer used their absence in his now infamous verbal attack on IOC President Thomas Bach earlier this week when the convention opened. “The voting for potential host cities of the Olympic Games is compromised. Key stakeholders are excluded from making informed decisions when selecting Olympic host cities: the bid cities cannot present their candidatures at SportAccord Convention to all stakeholders,” Vizer said. Nobody cares about the presentations, the 100 days, or what city might go on to host the 2022 Olympic Winter Games. Or at least those people outside the nations involved. And even then? I opened up this piece with 2024 bid teasers just to get you this far. In case you are interested, the contenders are Almaty, Kazakhstan and Beijing, China. Whichever city is elected, it will host the third consecutive Olympic Games in Asia following PyeongChang 2018 and Tokyo 2020. A vote in 100 days will define your Winter in 2022. I’ve probably already lost you now. But if I haven’t, I’ll break it down below because it didn’t have to be this way. A mere 18 months ago it looked like today there may have been a European mega-battle between cities such as Stockholm, Oslo and Krakow. Slick presentations would have riveted us to the ExpoCentre chairs; discussions about who won the day would have lingered into the late evening festivities. But someone, somewhere (as the legend will tell) published that the Sochi Olympics would cost over $50 billion. That number went viral. Whether accurate or not – without the proper supporting context this number became toxic to the Winter Games brand and the IOC in General. Suddenly, Bach’s Agenda 2020 presidential election platform took on a new meaning and emphasized a focus on bid process reforms. Before things could be fixed by Bach’s plans all four European bids, one-by-one, dropped from the race after losing public or financial support, leaving two also-rans from which one will eventually host the Games. Once Agenda 2020 reforms were ratified, some of the same former European applicants were eager to jump back into the race because whether the new rules would actually help save money or not, they helped provide a more constructive dialog that would steer the conversation clear of the Sochi debacle. 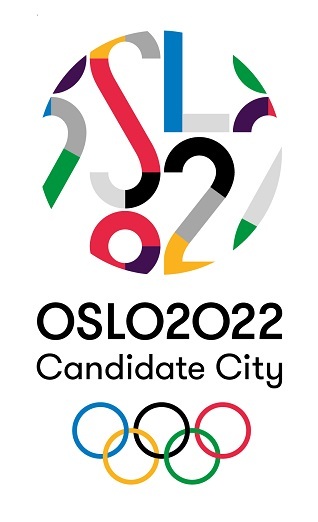 Or perhaps it was retribution for Oslo’s departure from the race that was an embarrassment to the IOC, the final withdrawal that left the 2022 campaign in its current, diminished state. IOC Executive Director Christophe Dubi’s bitter statement to Norway over Oslo’s bid was an extremely rare communication by the IOC but very telling as to how the President was personally impacted by the situation. One of the first logistical cost-cutting changes to the bid process out of the Agenda 2020 reforms was the elimination of some of the presentations at sport meetings around the world. The axe hit the SportAccord Convention first – a move that was likely more politically motivated as Vizer attested while letting loose his grievances with the IOC on Monday. So instead of watching inspirational Olympic plans for 2022 presented in high energy videos, on Wednesday SportAccord delegates were likely attending a panel discussion about motor-sports or browsing exhibits in the exhibition hall, probably thinking about the 2024 bids. Want to talk about 2022? I’m sure you can track down one of the two bid chiefs wandering the halls of the ExpoCentre. In fact, with only 100 days to go until the IOC selects their 2022 host, the Winter Games headline today was about how Sweden is further considering putting forth a bid from Stockholm for the 2026 Games. Also on Wednesday, the IOC published the 2022 Olympic bid election schedule for their 128th Session to be held in Kuala Lumpur July 31. 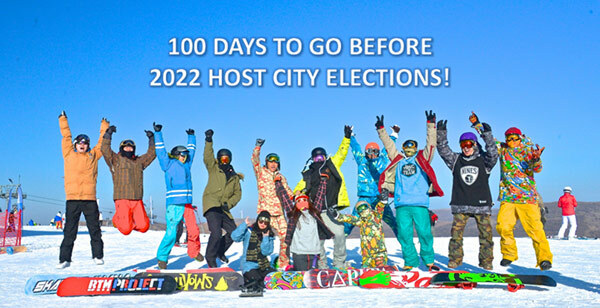 For all scheduled events including the presentations, the vote and the ceremonial announcement of results – the 2022 Winter Games election is grouped with that of the 2020 Winter Youth Olympic bid contested by Brasov, Romania and Lausanne, Switzerland. This marks the first time a Youth Olympic Games host city has been elected at the same meeting as the mainstream Games, sharing the focus. It seems like a good strategy to de-emphasize both high profile events. Perhaps the IOC is taking a cue from the apparent low level of international interest in the Games. 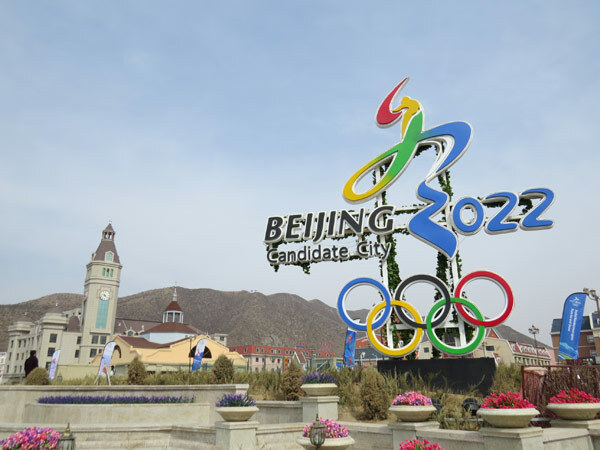 At IOC Evaluation Commission visits to Almaty and Beijing earlier this year, coverage by attending international reporters dropped significantly from similar visits to the 2018 Games bid cities – the most recent Winter Games bid contested four years ago. Using the popular contemporary measurements, Facebook and Twitter, the numbers also show international disinterest. On Facebook, the Real Almaty 2022 page has earned a mere 1,539 “likes” while Beijing 2022 has only rounded up 437 (at time of publishing). To be fair, Facebook is not available in China and on the local equivalent site Weibo, there are 251,214 followers presumably who are predominately domestic. As for Twitter, @RealAlmaty2022 has 1,068 followers and @Beijing_2022, 642. A cursory investigation of Instagram, Vine and a plethora of other points of social media revealed similarly unimpressive results. Recent bids from previous years have enjoyed numbers in the thousands. Full of bad memories and a lack of choice, the 2022 bid is a race that the IOC, and many of its followers, just want to end and go away. But make no mistake, the 2022 election is extremely important as It could set the stage for the success or failure of Agenda 2020 and Olympic bids for years to come. It will speak to the credibility of the IOC for supporting it, or expose the same for simply offering lip-service. Beijing claim they are a good fit for Agenda 2020. The reuse of the iconic, majestic and not-so-old 2008 Olympic park for ceremonies, the medals plaza and curling is a great win-win statement – against critics of the Summer Games legacy and for proponents of the efficient, low-cost preparations of the Winter Games. 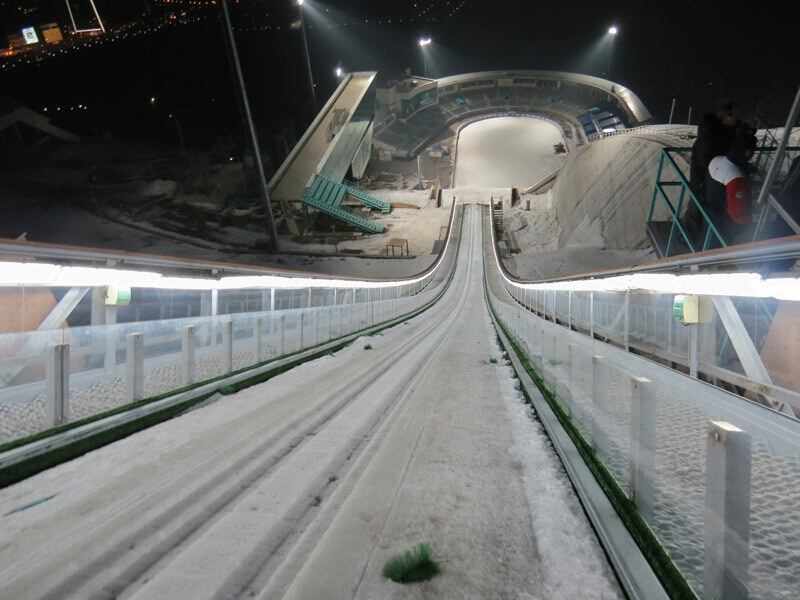 But that only holds up if you believe that a ski jump and cross-country venue at Zhangjiakou, along with an Olympic village and high speed train station need to be built to establish a winter sports destination, even without an Olympic Games. Is the passion for sport in China great enough to justify the environmental impact of construction in an area with dry winters and a lack of natural snow? Will new downhill slopes built for the Games be well-used after the final medal is awarded in 2022? Almaty doesn’t need any new rail construction as the mountain venues are only a short drive from the city. And the ski jump, described as one of the best in the world, literally towers over Almaty today, a short trip to many other in-town events. Venues that are planned to be built whether the Games are won or not are already under construction, such as the Ice Palace hockey rink that will have been well-used and tested at the 2017 Winter Universiade. Almaty, like Beijing, will require the construction of a Games-dependent sliding venue for bobsleigh, luge and skeleton – as well as an arena for figure skating and short-track speed skating. 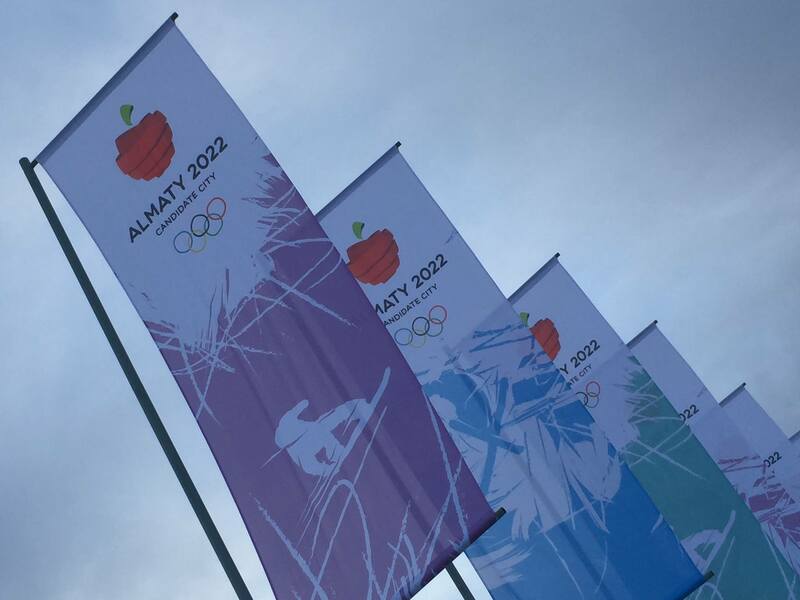 Ignoring the bid-published budgets where costs can be lifted and shifted, and even hidden by classifying them as “planned” – the overall effort to prepare for the Games is clearly less in Almaty where the legacy appears more sustainable. These are the two key elements for a “compliant” bid under Agenda 2020, and Kazakhstan’s proposal is so close, it could become a model for the future. China can get the job done too. They can build world-class venues and put on a spectacular show satisfying every whim of the IOC along the way. They did it on 2008 and they can do it again in 2022. And if winter sports and their related sponsors are exposed to the largest population on Earth, that can’t hurt either. In 100 days we’ll learn if the IOC has embraced Agenda 2020 or continues to be vulnerable to the lure of high cost, high value proposals. So while everyone else is looking ahead to the 2024 bid campaign, the 2024 bid committees will be closely watching the forgotten 2022 bids, and which concept the IOC ultimately approves.